This MP3 file is from the album Recital : Australian art song / Merlyn Quaife: soprano, Michael Kieran Harvey: piano. Duration: 3 mins, 40 sec. 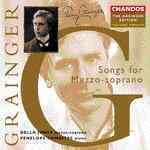 Score: Willow willow : voice and piano version / Percy Aldridge Grainger. 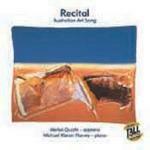 CD: Recital : Australian art song / Merlyn Quaife: soprano, Michael Kieran Harvey: piano.